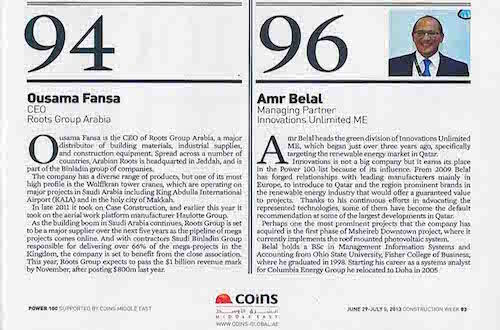 Amr Belal, Managing Partner – Green Division ranks among the Power 100 list of most influential people in the construction business. Best known for his driving force, Amr heads the Green division of Innovations Unlimited ME. With regional market leadership as the goal that inspires every step, the company has achieved milestones that place it at par with International players in the influential market of Doha.